I ran across this article on the BBC News website about the obsession with blood types in Japan. What starts out as similarity to horoscopes degenerates into people making important decisions based on blood types. I don't know of too many corporations who base decisions on hiring and production based on a person's blood type. But in Japan, the land of the over top obsessions, they do. We all know that some people do base their relationship decisions when it comes to mating on birth signs. Lots of Americans strongly believe in astrology and make daily decisions based on horoscopes or what position the planets align. But Japan's blood type fixation has caused some to be discriminated against. 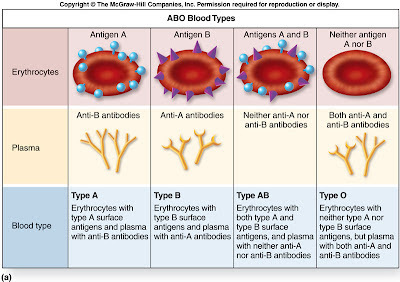 Here, a person's blood type is popularly believed to determine temperament and personality. "What's your blood type?" is often a key question in everything from matchmaking to job applications. According to popular belief in Japan, type As are sensitive perfectionists and good team players, but over-anxious. Type Os are curious and generous but stubborn. ABs are arty but mysterious and unpredictable, and type Bs are cheerful but eccentric, individualistic and selfish. Morning television shows, newspapers and magazines often publish blood type horoscopes and discuss relationship compatibility. A whole industry of customised products has also sprung up, with soft drinks, chewing gum, bath salts and even condoms catering for different blood groups on sale. It was only in 1901 that the ABO blood group system was discovered by the Austrian scientist Karl Landsteiner. His Nobel prize-winning work made it possible to identify the different blood groups, paving the way for transfusions to be carried out safely. Theorists of eugenics later hijacked his research during the inter-war years, with the Nazis using his work to further their ideas of racial supremacy. It was also adopted by Japan's militarist government in the 1930s to train better soldiers, and during World War II, the Imperial Army is reported to have formed battle groups according to blood type. The study of blood types in Japan gained mass appeal with the publication of a book in the 1970s by Masahiko Nomi, who had no medical background. More recently, his son Toshitaka went on to promote it further through a series of popular books - he also runs the Institute of Blood Type Humanics. He says his aim is not to judge or stereotype people, but simply to make the best of someone's talents and improve human relationships. It sometimes manifests itself as prejudice and discrimination, and it seems this is so common, the Japanese now have a term for it - bura-hara, meaning blood-type harassment. There are reports of discrimination against type B and AB groups leading to children being bullied, the ending of happy relationships, and loss of job opportunities. 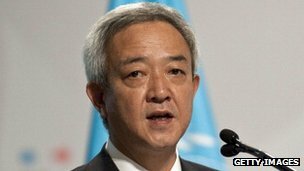 In July 2011, Minister for Reconstruction Ryu Matsumoto resigned after being criticised for making insensitive remarks. He blamed his blood type. "I would like to offer my apologies for offending the people in the disaster-hit areas. I thought I was emotionally close to the disaster victims, but I lacked sufficient words and my comments were too harsh. "My blood's type B, which means I can be irritable and impetuous, and my intentions don't always come across. "My wife called me earlier to point that out. I think I need to reflect about that." In summary, a book written by a man with no medical background gave birth to a cultural phenomenon that gave way to an entire nation basing many important decisions on a thesis similar to astrology. Meet Your New Junior Senator, America!